The Robbinsdale City Council took strong measures to protect youth from the harms of tobacco on Dec. 5. The City Council voted unanimously to restrict the sale of flavored tobacco products to adult-only tobacco stores and to establish a minimum price for cheap, flavored cigars. Robbinsdale is the fifth Minnesota to restrict the sale of flavored tobacco, following, Minneapolis, Saint Paul, Shoreview and Saint Louis Park. Several Minnesota cities have set minimum prices for cigars, including Minneapolis, Saint Paul, Brooklyn Center, Bloomington, Richfield and Maplewood. In Robbinsdale, flavored cigars cost as little as three for 89 cents. This ordinance sets a minimum price of $2.60 per cigar and $10.40 for packs of four or more. Moving flavored cigars, which are often brightly packaged and are geared toward youth initiation, to adult-only tobacco stores reduces the visibility of the products. 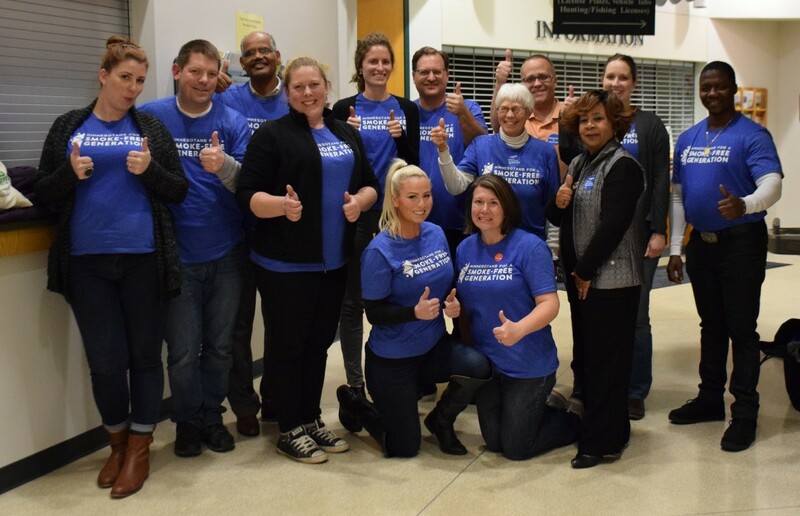 “Thank you to the city council for taking the steps to make Robbinsdale a healthier city,” said advocate Kate Richardson, who organized support within the community for the policies. “I’m thankful your involvement and concern for the issue and for listening to residents and taking it into consideration. “I look forward to continuing the process in making our city great and continuing the conversation around increasing the tobacco sales age to 21 in the near future. Robbinsdale considered raising the sale age for tobacco to 21 but didn’t vote on that. The council passed a resolution supporting a statewide initiative to raise the age to 21.